A few weeks ago, with the first hint of autumn in the air, my limited edition Pillow Boots arrived from Cougar Boots. As I took them out of the box it was apparent that despite the pretty packaging this is heavy duty footwear. To be honest, before I put them on I thought they looked a little weird. Not bad weird, just not my style. But when I pulled them on my opinion did a 180 and I knew they were a good fit for me. Perfectly comfortable and mushy, and unlike a lot of all-weather boots they were light and moved with me as I walked. Built for the snowy Canadian winters, and worn since the 1970's Cougar Boots has brought back their Pillow Boot for a new generation of playing outside in any weather. Snow is a few months off still but the caramel leather and soft red fleece lining makes a beautiful combination for fall outdoors outfits. 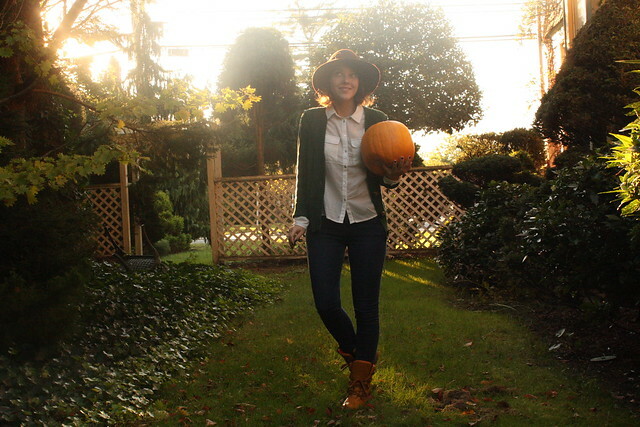 When I was styling an outfit for the boots I was drawn to natural colors and denim, perfect for playing in the leaves in the fall and enjoying the last of the sunshine before the snow starts to fall and the boots can really show me what they can do. I absolutely LOVE those boots - they'll be perfect for the winter. Something built for Canadian winters? I NEED! great boots!! perfect for a ny fall! You look so adorable with that hat on. It's so nice to see people happy with their clothes! I'm still hunting out a good pair of winter boots for this season. 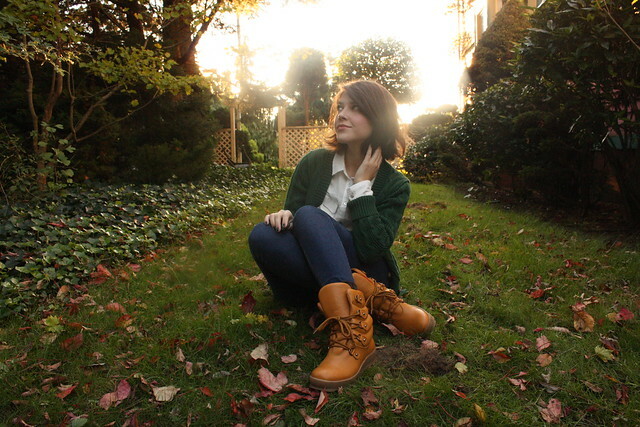 I'm thinking Sorels, but I'll have to give these a gander too... they look really cute with this outfit! Very nice. Now you're ready for Winter! The sienna colored ones are my favorite (more than these), they are such a pretty nut-brown color. Like i can see them looking really cute with dresses out in the winter wonderlands. They look amazing on you! Love them. I've never seen boots like this in today's time but they are really cute on you. They remind me of the 80s like crazy. Glad they brought them back. Those boots are fantastic! And I love how you styled them. So much so that I kind of copy-catted you with the outfit I decided to wear today Well, in that I'm wearing jeans, a button down, and a cardigan. You look much more polished than I do, though! These are some heavy duty SHOEZ. Cute! I've never seen boots like that before, they look super comfy! 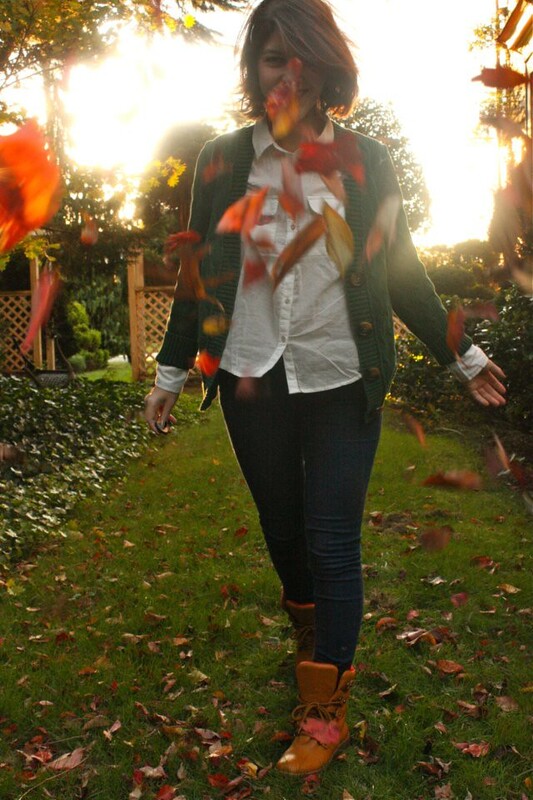 This is such a perfect fall outfit. By polished I hope you mean half asleep. You always look very well put together and stylin. not sure if I could pull those boots off but they look great on you. 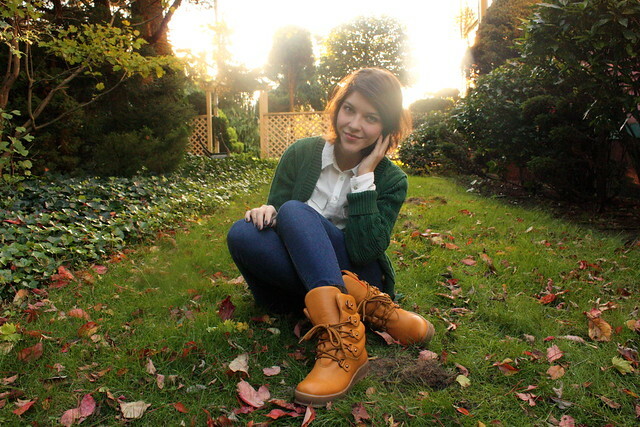 Kallie you look perfect for fall! I love the boots, they are super cute! I just love the last picture! If I'd seen the boots alone I would not think them very much for my linking, but with with the you your wearing them it makes a lot of change, they look great with the relaxed autumnal outfit! I love love love these boots!!! So 70's! 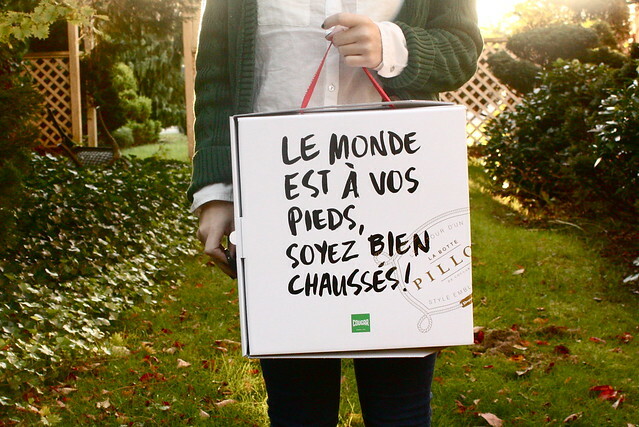 oh man, such comfy looking boots and such pretty photos!